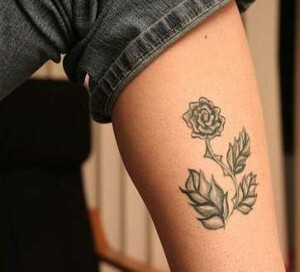 Black rose tattoos are normally seen as a memorial to a show the love and loss of a loved one. The tattoo has a long tradition as a memorial tattoo with both men and women. 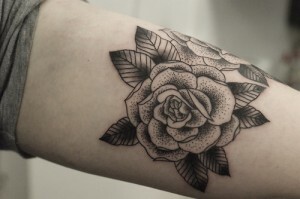 Black rose tattoos in recent years are seeing a surge in tattoo popularity with the spouse of members of the armed services to honor them while they are at war. 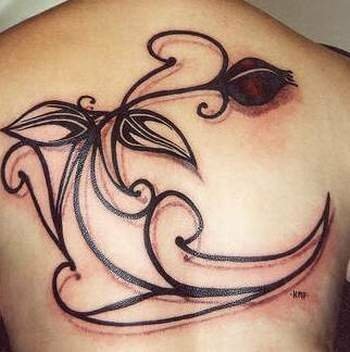 Another popular meaning for black rose tattoos is to pay tribute to the completion of a long and arduous task, like a college degree. 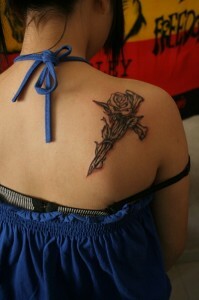 Black rose tattoos are popular for people with a rebellious spirit, and serve the warrior sprit as well. The Irish warriors used the black rose as a defiant symbol to the British who saw the red rose as a symbol of pride. 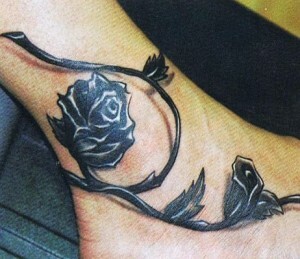 Black rose tattoos can have a strong meaning of hope; it’s like waiting for a miracle to happen. This incredible black rose tattoo in large scale with great shading and vine work works well here on the body trunk. The detail work on this medium size black rose tattoo looks great. 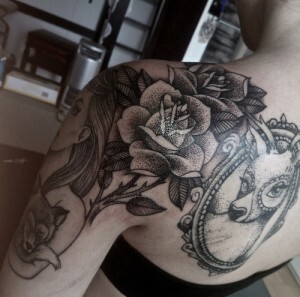 The inside of the fore arm shows off this very nice work of art. The contrast in colors is fantastic. 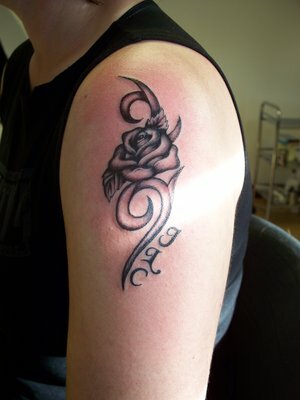 This simple black rose design with initials looks great on the arm or even the center of the upper back. 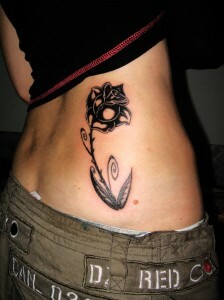 This simple closed bulb black rose tattoo looks great in the thin line dark ink. The shadow shading gives the illusion that the rose is actually floating. 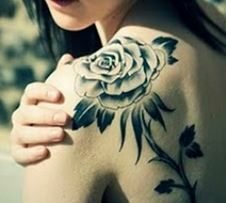 This popular image of the black rose looks great on its own but still has the option for a themed piece of art. 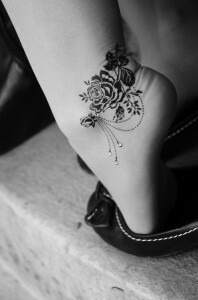 This lower leg black rose tattoo is popular just for its looks. Notice that this particular piece includes thorns. This awesome shoulder black rose tattoo has great size for visibility, but can be semi covered for a mysterious look. This black rose tattoo has a bit of mystery around it. Only the wearer knows why it is wound around the symbol. 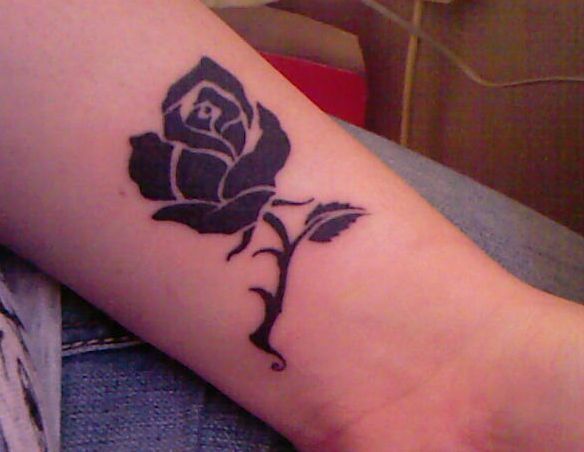 This small inner wrist classic black rose tattoo is a real beauty. This is a very cool delicate ankle black rose tattoo with plenty of detail. 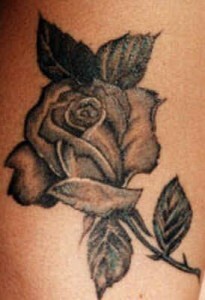 Classic black rose tattoo with great detail and shading; an inspirational piece of art work. The vine in this incredible black rose tattoo appears to be three dimensional. 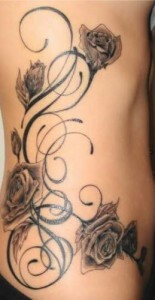 This awesome large black rose tattoo has a personal message behind it and the detail work is great!